The swiss architect from Chur, Thomas Domenig Senior has fulfilled his one youth dream with the creation of a wildlife reserve and Lodge in Namibia, a place for a unique and beautiful encounter between human and animal. In 1994, after a long search through half Africa, he had acquired this 39 square kilometer land. In 1995 the Omaruru Game Lodge started its operations and is by now well known and loved for their animals, great atmosphere and environment, great food and friendly employees. 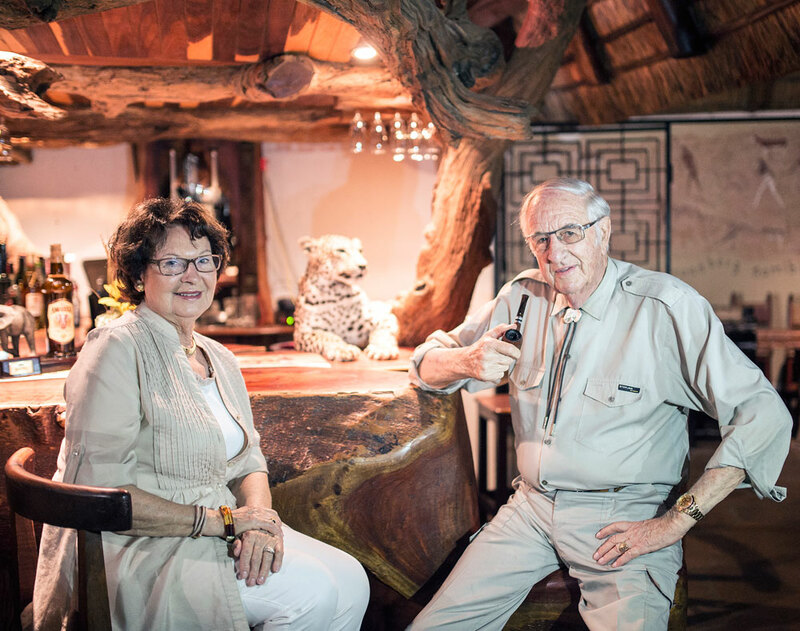 Carien and Kobi are managing the Omaruru Game Lodge over the past 15 years with lots of effort and heart blut. The Omaruru Game Lodge team consists of loyal and hardworking employees, from game drivers, to waitress, gardeners to the laundry ladies. The lodge would not be the same without them. We are very happy to have established a loyal customer base and for every new client giving the Omaruru Game Lodge a shot.